As exciting as entering the "real world" can be, figuring out what job to actually pursue right out of the gate is a lot harder than it seems. 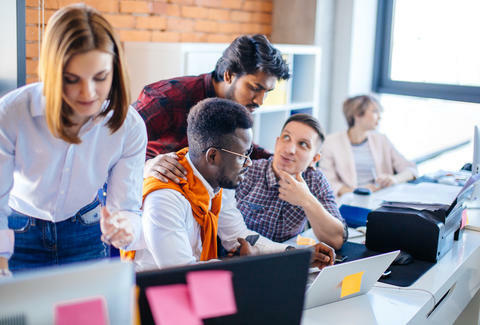 It's easy to be tempted by a fat paycheck or some glitzy startup perks, but there are a litany of other factors to consider if you're hoping to kick off a rewarding and promising career rather than just score a decent first job. Fortunately for those new to the job market, the folks at personal finance site WalletHub crunched the numbers on over 100 different first-time positions to figure out the best and worst entry-level jobs out there in 2018. Sorry, welders -- the results don't look so great for you. To get the bottom of which first-time gigs are best and worst, the number-crunchers at WalletHub took a look at 109 entry-level occupations and weighed them across three different categories: immediate opportunity, growth potential, and job hazards. More specifically, they evaluated them using 13 metrics from median starting salary and number of job openings, to income growth potential and schedule flexibility, and the typicality of working more than 40 hours per week. Topping the best list in 2018 is systems engineer, followed by engineer, electrical engineer, hardware engineer, and web applications developer. Meanwhile, the worst of the 109 different positions considered was welder, with floor assembler, boilermaker, carpenter, and tool and die maker rounding out the bottom five. To get a fuller picture of what's worth pursuing and staying away from, here are the top 25 best and worst from the rankings. Besides the rankings, there are some other notable takeaways worth considering. For instance, the entry-level job with the highest starting salary is tax attorney, which doesn't even crack the top 25 best gigs. Also, the job with the most job growth potential by 2026 is certified occupational therapist assistant (31st best in the ranking), while computer operator has the least growth potential in that same timeframe, and ranks as 42nd best. Of course, not all career trajectories are the same, and there are plenty of ways to change the course of your professional life beyond starting out with a statistically promising first job. Still, maybe steer clear of welding if you can help it.